The concept of bankruptcy is a creation of the Congress of the United States. The purpose of bankruptcy, prepared by a qualified bankruptcy attorney, would be to manage individuals and businesses a chance for an orderly procedure wherein their debts have been discharged in their entirety or reorganized pursuant to bankruptcy laws. The bankruptcy procedure is conducted in a Federal court system of USA Bankruptcy Courts which are split into several hundred districts of the united states. As a bankruptcy attorney, Coleman & MacDonald Law Office practices in the Boston and the MetroWest regions of the Commonwealth of Massachusetts. The bankruptcy procedure is basically comprised of two components; a liquidating bankruptcy wherein, theoretically, a debtor ‘therefore non-exempt assets are sold by the Bankruptcy Court and the proceeds distributed to the creditors on a percent basis. This concept is most commonly understood as Chapter Seven bankruptcy event. As a practical matter, not many individuals possess non-exempt assets which are taken from them by the Bankruptcy Court. Nevertheless, the discharge can allow them in the completion of an approximate four-month procedure from the US Bankruptcy Court. The other variation of a bankruptcy proceeding is a reorganizational bankruptcy which is accomplished through a Chapter 13 bankruptcy proceeding. On October seventeenth of 2005, the US Bankruptcy Code was changed in a spectacular manner.It had been really the first major change in bankruptcy law since 1978. While widely promoted as a procedure it made it much more strenuous to file bankruptcy proceeding, the fact of the matter is that a vast majority of individuals remain qualified for Chapter Seven bankruptcy proceeding. The major implications of the bankruptcy code consist of a requirement that all individuals or individuals filing bankruptcy acquire credit counseling prior to the filing. There are numerous credit counseling agencies available to the possible debtor in the MetroWest and Boston areas and credit counseling can be accomplished quite simply either on-line or by phone. The other major component of the bankruptcy code would be the rigorous analysis of the debtor’s gross earnings. A software program made by the US the Ministry of Justice examines a debtor’s earnings utilizing pre-determined expenses calculated by the geographic area wherein the bankruptcy case was filed. Further, an income threshold is established for Chapter 2 bankruptcy purposes. The Bankruptcy Court makes a distinction between individual debtors’ family of 3 and upward. A consumer Chapter Seven bankruptcy proceeding is also, by far, the most frequently registered bankruptcy proceeding. Plainly, over ninety percent of all bankruptcies filed in the Boston and the MetroWest areas are Chapter Seven bankruptcy proceeding. These proceedings are initiated by individuals, or people that were married, in an endeavor to achieve a fresh start. The major contributing factors to the chapter Seven bankruptcy are loss of sickness, employment, divorce, and family crises that are unexpected. The practice of filing a Chapter Seven bankruptcy proceeding is initiated by the completion of a petition in bankruptcy. The petition in bankruptcy consists of four sections. The first section is a list of all the debtor’s assets, including all the real estate along with private property held. The 2nd section of a bankruptcy petition schedules out the household income of a Chapter Seven debtor along with the household expenses concerning the same. The 3rd portion of a Chapter Seven bankruptcy proceedings will be the completion of a questionnaire entitled Statement of Financial Affairs, which covers the fiscal activity of the debtor over the last few decades. And there’s the investigation of the debtor’s gross salary utilizing a formulation set forward and periodically adjusted by the US Department of Justice. The finished bankruptcy petition is then filed with the US Bankruptcy Court in the relevant area based on the residence of the debtor. Roughly 30 to 40 days after the filing of a Chapter Seven bankruptcy petition, an examination of the debtor is conducted by means of a trustee, appointed by the US Bankruptcy Court, to examine the debtor. In general, these exam sessions last only a couple of minutes because each of the relevant questions that the bankruptcy trustee might have are contained in the bankruptcy petition. Following bankruptcy court has conducted its examination of the debtor, a period of sixty days is allowed for the creditors to submit any complaint that they might have alleging fraud or malfeasance from the debtor. The sincere debtor in a Chapter Seven bankruptcy proceedings will always be given a discharge. The discharge in bankruptcy is powerful and complete. Basically, all civil debt like credit cards, bank loans, bank loans, department store credit cards, hospital bills, medical expenses, dental bills, utility accounts, and personal loans are discharged by the head Seven bankruptcy proceedings. Court judgments obtained by lenders prior to the filing of a Chapter Seven bankruptcy are also discharged. Even though discharging tax obligation in a Chapter 7 bankruptcy proceedings can be complicated, a general guideline will be that any income taxes and assessed and outstanding from the debtor for a period of over three decades will probably be evacuated through the head Seven bankruptcy proceedings. 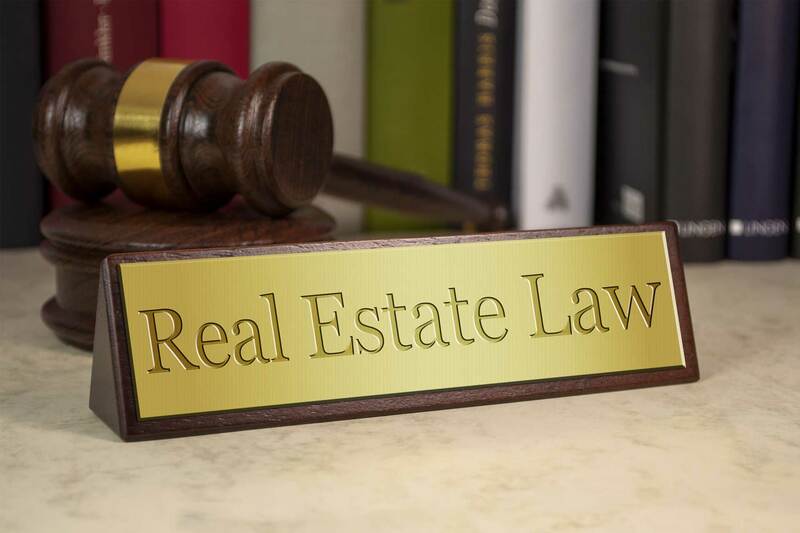 Lately, the phenomenon in reverse real estate, has resulted in a lot of people or married people choosing to file a Chapter Seven bankruptcy case to extricate themselves from the monetary obligations pertaining to real estate that’s worth fewer outstanding obligations to the mortgage holder. In this instance, a real estate mortgage and a note could be discharged in a Chapter Seven bankruptcy proceedings. A Chapter 13 bankruptcy case is different than that of Chapter 7. In a Chapter 13 bankruptcy proceedings, an individual or couple represent to the bankruptcy court that, though they’re in debt they feel that given enough time they can reorganize their debt with a payment plan. Filing for a Chapter 13 bankruptcy can be employed to conserve the residence of the debtor. A Chapter 13 bankruptcy filing will stop any foreclosure proceedings from going forward. A Chapter 13 bankruptcy proceedings will enable the debtor to repay the money which they’re behind on their mortgage, or mortgages, over a period of up to five decades. Depending upon the income and expenses to be paid, a debtor submits a Plan of Reorganization wherein the debtor proposes to pay either all, or a portion, of the debtor’s debt with time. The amount to be paid depends upon how much the debtor can afford to pay, not what’s in fact because of the lenders. As is the case of the head Seven bankruptcy proceedings, a Chapter 13 bankruptcy proceeding is initiated with the filing of a Chapter 13 bankruptcy petition. The petition itself is comparable to that of the Chapter Seven bankruptcy proceedings except, at the Chapter 13 bankruptcy proceedings, the debtor submits a Chapter 13 Plan to the Court. An excellent bankruptcy attorney has the capability to employ the pertinent portions of the US Bankruptcy Code to the individual debtor’s situation to invent a Chapter 13 Plan which complies with all applicable bankruptcy legislation. A Chapter 13 bankruptcy proceedings is a tool in protecting the home of debtors nationwide. Approximately 30 or 40 days after the Chapter 13 bankruptcy petition is filed with the US Bankruptcy Court, the Chapter 13 Trustee, a single lawyer, will conduct a confirmation hearing in the US Bankruptcy Court. The confirmation hearing is an evaluation of the debtor to ensure That the request has also been properly filed and the Chapter 13 Plan of Reorganization filed by the bankruptcy lawyer and the debtor complies with all applicable bankruptcy legislation. In the end of the confirmation hearing, a monthly amount is based on the bankruptcy lawyer, the debtor and the Chapter 13 Trustee. This amount will be forwarded to the Chapter 13 Trustee’s office on a monthly basis before end of the Chapter 13 Plan. The debtor need only send in a single payment to the Chapter 13 Trustee and the Trustee then distributes the funds to the creditors participating in the Chapter 13 bankruptcy proceedings. In the conclusion of the necessary payments, the US Bankruptcy Court will issue a discharge to the debtor. It must Be noted that whatever debt remains unpaid at the end of the Chapter 13 bankruptcy proceedings is discharged in the exact same fashion as a Chapter Seven bankruptcy discharge. Chapter 7 bankruptcy lawyers in 02101, Chapter 7 bankruptcy lawyers in 02108, Chapter 7 bankruptcy lawyers in 02109, Chapter 7 bankruptcy lawyers in 02110, Chapter 7 bankruptcy lawyers in 02111, Chapter 7 bankruptcy lawyers in 02112, Chapter 7 bankruptcy lawyers in 02113, Chapter 7 bankruptcy lawyers in 02114, Chapter 7 bankruptcy lawyers in 02115, Chapter 7 bankruptcy lawyers in 02116, Chapter 7 bankruptcy lawyers in 02117, Chapter 7 bankruptcy lawyers in 02118, Chapter 7 bankruptcy lawyers in 02119, Chapter 7 bankruptcy lawyers in 02120, Chapter 7 bankruptcy lawyers in 02121, Chapter 7 bankruptcy lawyers in 02122, Chapter 7 bankruptcy lawyers in 02123, Chapter 7 bankruptcy lawyers in 02124, Chapter 7 bankruptcy lawyers in in 02125, Chapter 7 bankruptcy lawyers in 02126, Chapter 7 bankruptcy lawyers in 02127, Chapter 7 bankruptcy lawyers in 02128, Chapter 7 bankruptcy lawyers in 02129, Chapter 7 bankruptcy lawyers in 02130, Chapter 7 bankruptcy lawyers in 02131, Chapter 7 bankruptcy lawyers in 02132, Chapter 7 bankruptcy lawyers in 02133, Chapter 7 bankruptcy lawyers in 02134, Chapter 7 bankruptcy lawyers in 02135, Chapter 7 bankruptcy lawyers in 02136, Chapter 7 bankruptcy lawyers in, Chapter 7 bankruptcy lawyers in 02141, Chapter 7 bankruptcy lawyers in 02149, Chapter 7 bankruptcy lawyers in 02150, Chapter 7 bankruptcy lawyers in 02151, Chapter 7 bankruptcy lawyers in 02152, Chapter 7 bankruptcy lawyers in 02163, Chapter 7 bankruptcy lawyers in 02171, Chapter 7 bankruptcy lawyers in 02196, Chapter 7 bankruptcy lawyers in 02199, Chapter 7 bankruptcy lawyers in 02201, Chapter 7 bankruptcy lawyers in 02203, Chapter 7 bankruptcy lawyers in 02204, Chapter 7 bankruptcy lawyers in 02205, Chapter 7 bankruptcy lawyers in 02206, Chapter 7 bankruptcy lawyers in 02210, Chapter 7 bankruptcy lawyers in 02211, Chapter 7 bankruptcy lawyers in 02212, Chapter 7 bankruptcy lawyers in 02215, Chapter 7 bankruptcy lawyers in 02217, Chapter 7 bankruptcy lawyers in 02222 , Chapter 7 bankruptcy lawyers in 02228 , Chapter 7 bankruptcy lawyers in 02241, Chapter 7 bankruptcy lawyers in 02266, Chapter 7 bankruptcy lawyers in 02283, Chapter 7 bankruptcy lawyers in 02284, Chapter 7 bankruptcy lawyers in 02293, Chapter 7 bankruptcy lawyers in 02297, Chapter 7 bankruptcy lawyers in 02298, Chapter 7 bankruptcy lawyers in 02445, Chapter 7 bankruptcy lawyers in 02467. Chapter 7 bankruptcy lawyers in 02114, Chapter 7 bankruptcy lawyers in 02134, Chapter 7 bankruptcy lawyers in 02138, Chapter 7 bankruptcy lawyers in 02139, Chapter 7 bankruptcy lawyers in 02140, Chapter 7 bankruptcy lawyers in 02141, Chapter 7 bankruptcy lawyers in 02142, Chapter 7 bankruptcy lawyers in 02163, Chapter 7 bankruptcy lawyers in 02238. Chapter 7 bankruptcy lawyers in 01701, Chapter 7 bankruptcy lawyers in 01702, Chapter 7 bankruptcy lawyers in 01703, Chapter 7 bankruptcy lawyers in 01704, Chapter 7 bankruptcy lawyers in 01705. Chapter 7 bankruptcy lawyers in 02451, Chapter 7 bankruptcy lawyers in 02452, Chapter 7 bankruptcy lawyers in 02453, Chapter 7 bankruptcy lawyers in 02454, Chapter 7 bankruptcy lawyers in 02455. Chapter 7 bankruptcy lawyers in 01850, Chapter 7 bankruptcy lawyers in 01851, Chapter 7 bankruptcy lawyers in 01852, Chapter 7 bankruptcy lawyers in 01853, Chapter 7 bankruptcy lawyers in 01854. Chapter 7 bankruptcy lawyers in 01810, Chapter 7 bankruptcy lawyers in 01812, Chapter 7 bankruptcy lawyers in 01899, Chapter 7 bankruptcy lawyers in 05501, Chapter 7 bankruptcy lawyers in 05544. Chapter 7 bankruptcy lawyers in 02121, Chapter 7 bankruptcy lawyers in 02122, Chapter 7 bankruptcy lawyers in, and Chapter 7 bankruptcy lawyers in 02125. Chapter 7 bankruptcy lawyers in 02135, Chapter 7 bankruptcy lawyers in 02471, Chapter 7 bankruptcy lawyers in 02472, Chapter 7 bankruptcy lawyers in Action, Chapter 7 bankruptcy lawyers in 01718, Chapter 7 bankruptcy lawyers in 01720, Chapter 7 bankruptcy lawyers in 02155, Chapter 7 bankruptcy lawyers in Medford Chapter 7 bankruptcy lawyers in 02156. Chapter 7 bankruptcy lawyers in 02457, Chapter 7 bankruptcy lawyers in 02481, Chapter 7 bankruptcy lawyers in 02482. Chapter 7 bankruptcy lawyers in 02129, Chapter 7 bankruptcy lawyers in 02141, Chapter 7 bankruptcy lawyers in 02143, Chapter 7 bankruptcy lawyers in 02144, Chapter 7 bankruptcy lawyers in 02145. Chapter 7 bankruptcy lawyers in 01731, Chapter 7 bankruptcy lawyers in 02420, Chapter 7 bankruptcy lawyers in 02421, Chapter 7 bankruptcy lawyers in 02451, Chapter 7 bankruptcy lawyers in 01730, Chapter 7 bankruptcy lawyers in Bedford, Chapter 7 bankruptcy lawyers in 01731, Chapter 7 bankruptcy lawyers in 01469, Chapter 7 bankruptcy lawyers in Townsend, Chapter 7 bankruptcy lawyers in 01474, Chapter 7 bankruptcy lawyers in 01864, Chapter 7 bankruptcy lawyers in North Reading, Chapter 7 bankruptcy lawyers in 01889. Chapter 7 bankruptcy lawyers in 01731, Chapter 7 bankruptcy lawyers in 01773, Chapter 7 bankruptcy lawyers in 02451, Chapter 7 bankruptcy lawyers in 01860, Chapter 7 bankruptcy lawyers in Merrimac, Chapter 7 bankruptcy lawyers in 01923, Chapter 7 bankruptcy lawyers in Hathorne, Chapter 7 bankruptcy lawyers in 02481, Chapter 7 bankruptcy lawyers in Wellesley Hills, Chapter 7 bankruptcy lawyers in 01850, Chapter 7 bankruptcy lawyers in Dracut, Chapter 7 bankruptcy lawyers in 02053, Chapter 7 bankruptcy lawyers in Medway, Chapter 7 bankruptcy lawyers in 02062, Chapter 7 bankruptcy lawyers in Norwood, Chapter 7 bankruptcy lawyers in 02134, Chapter 7 bankruptcy lawyers in Allston, Chapter 7 bankruptcy lawyers in 02322, Chapter 7 bankruptcy lawyers in Avon, Chapter 7 bankruptcy lawyers in 02459, Chapter 7 bankruptcy lawyers in Chestnut Hill, Chapter 7 bankruptcy lawyers in 02467. Chapter 7 bankruptcy lawyers in 01824, Chapter 7 bankruptcy lawyers in 01851, Chapter 7 bankruptcy lawyers in 01862, Chapter 7 bankruptcy lawyers in 01863. Chapter 7 bankruptcy lawyers in Boston, Chapter 7 bankruptcy lawyers in Newton, Chapter 7 bankruptcy lawyers in Cambridge, Chapter 7 bankruptcy lawyers in Lynn, Chapter 7 bankruptcy lawyers in Framingham, Chapter 7 bankruptcy lawyers in Waltham, Chapter 7 bankruptcy lawyers in Haverhill, Chapter 7 bankruptcy lawyers in Lowell, Chapter 7 bankruptcy lawyers in Quincy, Chapter 7 bankruptcy lawyers in Andover, Chapter 7 bankruptcy lawyers in Dorchester, Chapter 7 bankruptcy lawyers in Woburn, Chapter 7 bankruptcy lawyers in Brookline, Chapter 7 bankruptcy lawyers in Lawrence, Chapter 7 bankruptcy lawyers in, Chapter 7 bankruptcy lawyers in Acton, Chapter 7 bankruptcy lawyers in Medford, Chapter 7 bankruptcy lawyers in Wellesley, Chapter 7 bankruptcy lawyers in Somerville, Chapter 7 bankruptcy lawyers in Arlington, Chapter 7 bankruptcy lawyers in Dover, Chapter 7 bankruptcy lawyers in Groton, Chapter 7 bankruptcy lawyers in Billerica, Chapter 7 bankruptcy lawyers in Braintree, Chapter 7 bankruptcy lawyers in Lexington, Chapter 7 bankruptcy lawyers in Bedford, Chapter 7 bankruptcy lawyers in Townsend, Chapter 7 bankruptcy lawyers in North Reading, Chapter 7 bankruptcy lawyers in Needham, Chapter 7 bankruptcy lawyers in Dedham, Chapter 7 bankruptcy lawyers in West Medford, Chapter 7 bankruptcy lawyers in Gloucester, Chapter 7 bankruptcy lawyers in East Boston, Chapter 7 bankruptcy lawyers in Salem, Chapter 7 bankruptcy lawyers in Belmont, Chapter 7 bankruptcy lawyers in Peabody, Chapter 7 bankruptcy lawyers in Burlington, Chapter 7 bankruptcy lawyers in Hudson, Chapter 7 bankruptcy lawyers in Rockport, Chapter 7 bankruptcy lawyers in Wilmington, Chapter 7 bankruptcy lawyers in Lincoln, Chapter 7 bankruptcy lawyers in Merrimac, Chapter 7 bankruptcy lawyers in Hathorne, Chapter 7 bankruptcy lawyers in Wellesley Hills, Chapter 7 bankruptcy lawyers in Dracut, Chapter 7 bankruptcy lawyers in Medway, Chapter 7 bankruptcy lawyers in Norwood, Chapter 7 bankruptcy lawyers in Allston, Chapter 7 bankruptcy lawyers in Avon, Chapter 7 bankruptcy lawyers in Chestnut Hill, Chapter 7 bankruptcy lawyers in North Chelmsford, Chapter 7 bankruptcy lawyers in South Hamilton, Chapter 7 bankruptcy lawyers in, Woodville, Chapter 7 bankruptcy lawyers in Carlisle, Chapter 7 bankruptcy lawyers in Natick, Chapter 7 bankruptcy lawyers in North Weymouth, Chapter 7 bankruptcy lawyers in West Groton, Chapter 7 bankruptcy lawyers in Nutting Lake, Chapter 7 bankruptcy lawyers in Stow, Chapter 7 bankruptcy lawyers in Melrose, Chapter 7 bankruptcy lawyers in Tewksbury, Chapter 7 bankruptcy lawyers in Foxboro, Chapter 7 bankruptcy lawyers in Milton, Chapter 7 bankruptcy lawyers in Upper Falls, Chapter 7 bankruptcy lawyers in Wenham, Chapter 7 bankruptcy lawyers in Roslindale, Chapter 7 bankruptcy lawyers in Middleton, Chapter 7 bankruptcy lawyers in Ashland, Chapter 7 bankruptcy lawyers in Hopkinton, Chapter 7 bankruptcy lawyers in Topsfield, Chapter 7 bankruptcy lawyers in Rowley, Chapter 7 bankruptcy lawyers in Sudbury, Chapter 7 bankruptcy lawyers in Medfield, Chapter 7 bankruptcy lawyers in Reading, Chapter 7 bankruptcy lawyers in Danvers, Chapter 7 bankruptcy lawyers in Salisbury, Chapter 7 bankruptcy lawyers in Maynard, Chapter 7 bankruptcy lawyers in Sherborn, Chapter 7 bankruptcy lawyers in West Roxbury, Chapter 7 bankruptcy lawyers in Boxborough, Chapter 7 bankruptcy lawyers in Nahant, Chapter 7 bankruptcy lawyers in Hanscom AFB, Chapter 7 bankruptcy lawyers in Canton, Chapter 7 bankruptcy lawyers in North Attleboro, Chapter 7 bankruptcy lawyers in West Boxford, Chapter 7 bankruptcy lawyers in Lynnfield, Chapter 7 bankruptcy lawyers in South Walpole, Chapter 7 bankruptcy lawyers in East Weymouth, Chapter 7 bankruptcy lawyers in Babson Park, Best local bankruptcy attorney in Milton Village, Best local bankruptcy attorney in West Townsend, Chapter 7 bankruptcy lawyers in Pinehurst, Chapter 7 bankruptcy lawyers in Stoughton, Chapter 7 bankruptcy lawyers in Waverley, Chapter 7 bankruptcy lawyers in Sharon, Chapter 7 bankruptcy lawyers in Georgetown, Chapter 7 bankruptcy lawyers in Mattapan, Chapter 7 bankruptcy lawyers in Holliston, Chapter 7 bankruptcy lawyers in Amesbury. You having trouble managing your debts efficiently? Let our experienced and diligent attorneys at Coleman & Macdonald Law Office assist you in a proficient manner. Since 2000, we have been helping you achieve favorable resolutions for your bankruptcy concerns. Are you having trouble managing your debts efficiently? Let our experienced and diligent attorneys at Coleman & Macdonald Law Office assist you in a proficient manner. Since 2000, we have been helping you achieve favorable resolutions for your bankruptcy concerns. Chapter 7 bankruptcy is also referred to as liquidation bankruptcy because all nonexempt assets will be liquidated, and the profits will be distributed among lenders to help repay debts. Since there are exemptions to the kinds of property that can be liquidated, you be able to keep your house, car and other assets. In order to be eligible to file for Chapter 7 bankruptcy, you need to work closely with an attorney and complete a bankruptcy means test. Unlike Chapter 7 bankruptcy, Chapter 13 bankruptcy allows debtors to retain their assets and still become debt-free. In Chapter 13, debtors can reconsolidate their debts and pay off loans over an extended period that has been approved by a bankruptcy court. The payment plan typically lasts 3 to 5 years.